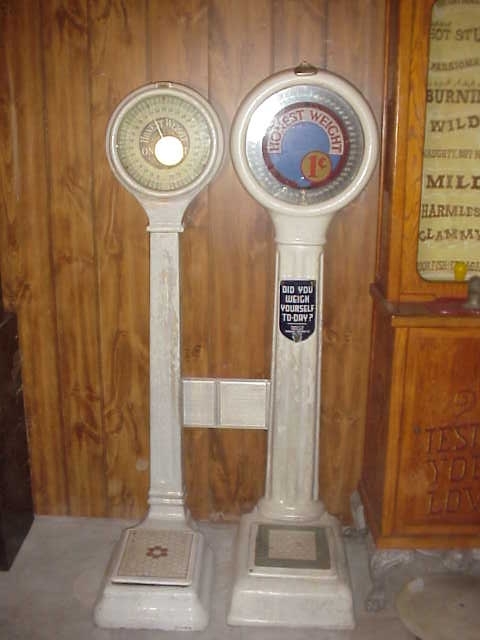 Two vintage porcelain penny scale floor models for sale. Original machines feature white porcelain, honest weight decal, and tile scale platform. 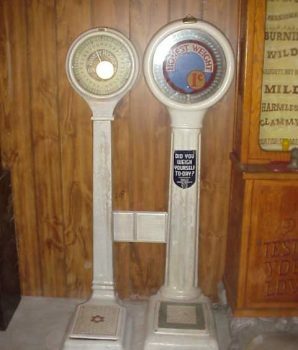 Penny porcelain scales: $950 each. Porcelain penny scale measures approximately 70″ tall x 24″ deep. For multiple items, Gameroom Show offers a combined rate to reduce shipping costs. Don’t hesitate to contact if you would like any further information about any of our antique collector’s items for sale..